We begin with Sporting Clube de Portugal, one of the strongholds of Iberian youth football. Sporting Clube de Portugal has always been considered one of the top clubs in Europe to produce young talents. 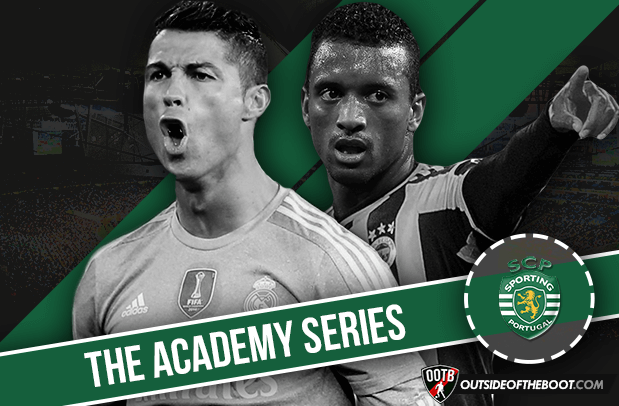 With a youth department lead by the honored scout Aurélio Pereira – the man behind the discovery of players such as Figo, Futre or Ronaldo – and with hundreds of other scouts working all over the country to bring only the best youngsters to Alvalade. The team from Lisbon always valued their young home-grown talents, which led to the inauguration of the Sporting Academy in Alcochete in 2002 – a set of top quality facilities where youngsters can live and practice, always accompanied by a set of people, from the various coaches to the psychologists or nutritionists, with the objective of raising them both as people and as athletes. The training methods on this renowned academy are focused on individual improvement with the coaches incentivizing the talented youngsters to play with the ball, incentivizing them to dribble, to take opponents on, to take risks. Just letting youngsters enjoy their game like this is definitely one of the reasons behind so many talented wingers coming through the academy’s ranks season after season. At the beginning of the 2012/13 season, B teams of a few of the bigger teams in the country were reintroduced in Portugal. Sporting’s B team plays in the country’s second division, giving players who just made the transition to senior football a chance to prove their worth. This is another factor that the club has in its favour when it comes to the development of young players. Another project that has been giving support to the club’s main academy is the set of 29 “Escolas Academia Sporting” spread throughout the country – other smaller academies that, using Sporting’s name and methods, have a direct connection to the Alcochete one. Just like Fonte, Boa Morte is someone who spent the best years of his career in England but unlike most players on this list, Luís didn’t join Sporting until he was 17 – an age that would be considered somewhat late for today’s football world. To add on to that, he didn’t stay for long either: after four years at Sporting (one of them on loan to Lourinhanense), Arsenal picked him up and his journey through Great Britain started. Having spent time in teams such as Arsenal, Southampton and later on his career in Chesterfield, the midfielder is well known for his seasons with Fulham and West Ham United. Characterized by his aggressive style of play, Luís was idolized by Fulham and West Ham fans during his footballing career and was present in Germany with the Portuguese National Team for the 2006 World Cup. 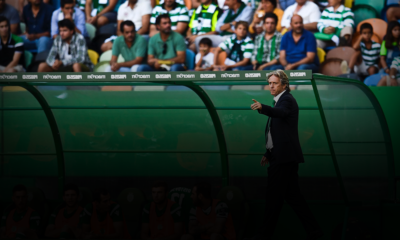 Boa Morte is now starting his managerial career with the youth sides of Sporting. A player that perhaps most people wouldn’t expect to see on this list, Carriço spent 13 years with Sporting – 8 of them in the youth teams and 5 seasons with the senior squad. Playing both either as a centre-back or as a defensive midfielder, Daniel managed to captain Sporting’s main squad which he appeared for 91 times. After a fruitless move to Reading, Carriço is now a key part in Unai Emery’s Sevilla where he won two Europa League titles, having played over 50 games for the club from Seville in the past two seasons. Despite having only one cap for the national team (this year), he holds the record for the player with the biggest amount of matches played in the UEFA Europa League Competition. The only player in this list that didn’t manage to get any appearance for Sporting’s main team is perhaps just as well known as any of the others, even more so in Great Britain. After 8 years climbing through the academy’s ranks, as a senior Fonte only managed appearances for the club’s B team – keeping him attached to Sporting for two more years. After passages through a few smaller Portuguese clubs, José managed to obtain his move to England. Continuous solid performances, always leaving everything on the pitch both for Crystal Palace and Southampton, led him to a spot in PFA’s League One Team of the Season in 2011 and to 3 great Premier League campaigns with the Saints. The now captain of the team just got himself a contract extension that keeps him at St.Mary’s until 2018 and he is also a regular for his national side. Joining Sporting at the age of 11, Luís Figo is one of the two Balon D’Or winners that Sporting’s youth system has produced and is one of the only players on the planet who can say they played for hated rivals Real Madrid and Barcelona. National team wise Figo is a record holder, being the player with the most amount of caps (127). 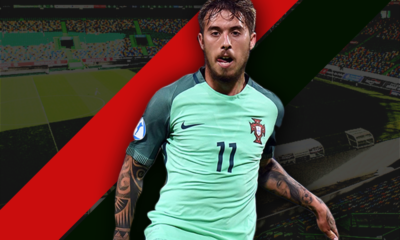 Part of the Portuguese “Golden Generation”, he had several great performances in youth international competitions and is widely considered one of the best ever Portuguese players. Often regarded as one of the best box-to-box midfielders on the planet, João has been having quality seasons year after year. Consistency and dynamism have always been the more defining adjectives for this player who moved to the academy at the age of 13. After eventually establishing himself not only as a first team starter, but as a first team captain, João Moutinho moved to FC Porto in controversial Futre-eque fashion. 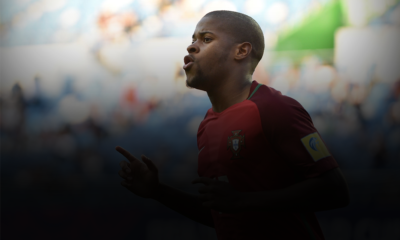 After winning several trophies in Portugal, João moved to France where he now leads Monaco’s midfield. To add on to his club accomplishments, he’s been a crucial part of the national team’s midfield for years, no matter what other changes occur in the squad. Often regarded as the new Cristiano, Luís Almeida only arrived at the Sporting Academy at the age of 16 – playing only two years in the youth sides. To make up for that, he spent quite a bit more time than players like Ronaldo, in the senior team. Nani completed two full seasons in Alvalade, obtaining 58 appearances and even winning the Portuguese Cup in 2007. Following Cristiano’s footsteps, the Cape Verdean born footballer also moved to Manchester where he won 4 Premier Leagues and a Champions League in 2008 (making him one of the five academy graduates who managed to win this trophy). At an individual level the seasons in England were somewhat erratic, with the winger being quite inconsistent from one to another. Nonetheless, Nani managed to be in the PFA team of the season in 2011, the same season in which he was considered the club’s Player of the Year. After a drop in form, the 5th most capped player in the history of the Portuguese National team managed to pick his performances back up with Sporting for a season (winning another cup in the process) and is now displaying his skills in Turkey. To finish up the list we have yet another talented and irreverent winger who had the best years of his career playing for the other of Sporting’s rivals: FC Porto. Quaresma played for Sporting’s youth teams since he was 14, eventually getting to the first team where he would only spend 2 years of his career. After an injury-prone stint with giants FC Barcelona, Ricardo travelled back to Portugal this time to play for Porto. Here he would become an essential player for the team, winning several trophies and achieving stardom. With a career full of beautiful goals, arguments with coaches, amazing tricks on the wings and disappointing stays at European giants, the “Trivela” king has had an up and down football life since he left his youth club. Nonetheless the “Mustang” managed to be a part of the national team squad for both the Euro 2008 and 2012. What can you even say about this guy that hasn’t been said yet? An absolutely outstanding athlete, Cristiano is the cream of the crop of Sporting’s academy. Three Balon D’Ors, new records achieved week after week, and legendary status in two of the biggest clubs on the planet: Manchester United and Real Madrid. From his youth, everyone could already foresee that the kid was a future star. Setting records from an early age, Cristiano moved to the academy at the age of 11 (at the time only at 15 could you move in) after having the club pay an outrageous amount of 25000€ for him. How could any club on the planet justify a 25000€ investment on an 11 year old? He had to be something really special and as it turns out…he is. Another quality winger produced by the Sporting youth system, and another player that ended up as a star of one of the team’s rivals. After climbing through the youth ranks for 5 years, the winger played two full quality season’s for Sporting’s first team. Having spent two somewhat disappointing seasons at FC Barcelona, Simão signed for the other big club from Lisbon: SL Benfica. With the Eagles he was a complete star during his six year stay, being the captain for most of it too. Simão went on to play three good seasons for Atletico, all while having a total of 85 national team caps – getting regularly called up for the big tournaments. With the years getting the most of him, the Benfica idol is now playing his trade in India just like so many other well known footballers. From the same generation as João Moutinho and Nani, Veloso is another player who benefited from Paulo Bento’s rise to Sporting’s first team. The son of the former Benfica captain António Veloso, Miguel stayed with Sporting for 10 years, five of those in the first team where he reached the highest point of his career performance wise. The now soon to be 30 year old had a fruitless stay with Genoa, before arriving at Dynamo Kiev where the Portuguese international plays until today. Though he is not as regular for the national side as he once was, Miguel has surpassed the 50 cap mark for Portugal, having appeared in 2 World Cups and 2 Euros. At the moment we can see a lot of talented youngsters playing for both the B team and the youth sides of Sporting. In the second team, we have some of the most promising Portuguese youngsters in players such as the centre-back Domingos Duarte, the offensive midfielders Francisco Geraldes and Rafael Barbosa, and the attackers Ponde, Podence and Luís Elói. Out of the players who are in the youth teams, one of the most promising ones is Bubacar Djaló a midfielder who is already being followed by teams such as Roma and Tottenham. Often compared to Paul Pogba due to his combination of physical presence with technique, Bubacar recently signed a contract renewal that will supposedly keep him in Alvalade until 2020. 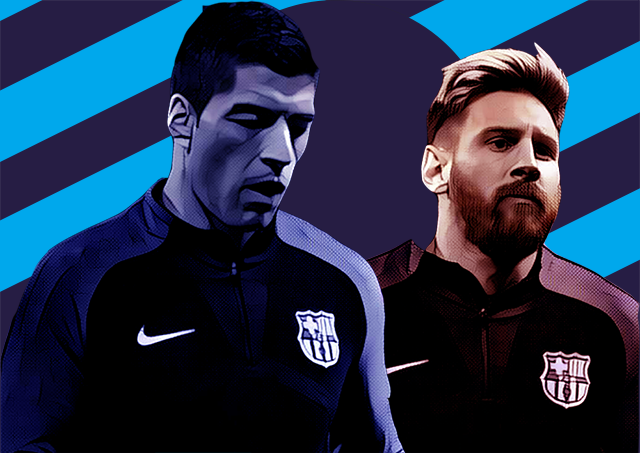 Some of the most talented academy graduates are being already introduced in the senior team. 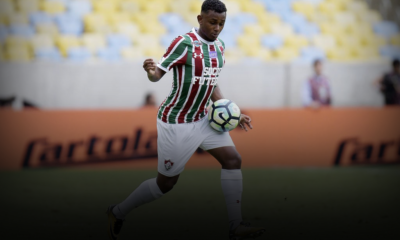 Players such as the wingers Gelson Martins (who’s been with the first team since the start of the season) and Matheus (a Brazilian born winger), have both been having chances under Jorge Jesus. 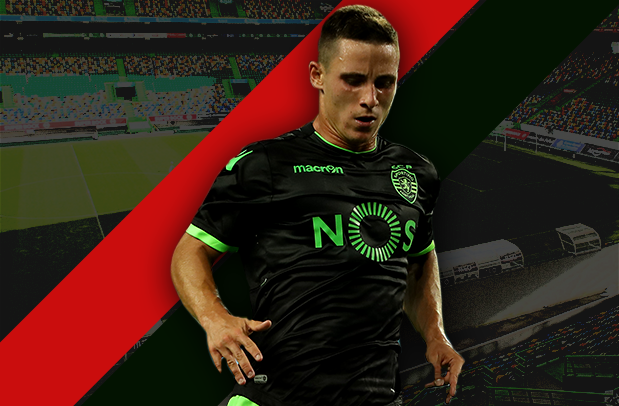 To add to these talents, other non-Portuguese young players who were brought to the club such as Bruno Paulista (bought from Bahia this summer) and Ryan Gauld (transfered from Dundee United in the 2014/15 pre-season), have been evolving with the B team and you can see Sporting influences in their growth, mainly on Gauld’s since the Scottish has been in Portugal for longer. Tiago Estêvão is a Portuguese writer, mainly covering Portuguese and European football for several websites. Studying sports coaching with a specialization in football, he's interested in anything related to the aforementioned sport.